What does it mean to dream of a tiger? If you are wondering about the symbolism of the tiger as a dream meaning or spirit animal, learning about what the tiger means as a symbol can be very helpful for you in your life! What Does it Mean to Dream of a Tiger? The tiger is a large and powerful native cat to India. It is commonly associated with being present in jungle types of environments, although tigers may be found in other parts of the world. Today, it is not uncommon to see a tiger even in the largest of cities at the local zoo or animal park. A tiger reminds us to follow our natural instincts and intuition. Often times, a tiger appearing in dreams or as a spirit animal means there is much energy and emotional work to do in order to fully overcome a challenge or to thrive in a situation. The tiger has been a symbol used as a mascot for many companies, as well as in songs. The song from the Rocky movie, "Eye of a Tiger" and Katy Perry's song "Roar" are all examples of how a tiger can be a symbol of strength and overcoming obstacles. Being chased by a tiger: If you are dreaming that a tiger is chasing you, it is likely you are running away from your own personal feelings and emotions. You may be afraid of power - either afraid to step into your own power or afraid of someone who has power and control over you. Learning about how to deal with nightmares and what it means to be chased in a dream can be helpful. Dreaming of Tigers Sleeping: A sleeping tiger might mean there is some hidden force in your life. This "hidden force" could be your own special talents and strengths - or it could mean there is something happening in your life that you are not fully expecting. Tigers on the Hunt: Tigers are at the "top of the food chain" so to speak and often are associated with hunting their prey. The hunter as a character archetype in dreams can mean that you are very goal oriented and working towards success in business or your personal life. In dreams, it may mean that you need to think about your "plan of attack" on a situation. Dreaming of a White Tiger: White tigers are not common in the wild, and so in a dream this may mean something is of special importance. A white tiger symbolizes rarity and unique intuitive gifts. Understanding the meaning of colors in dreams can be helpful to understand more about what the color of the tiger can mean. What does the tiger symbolize? What can it mean if we have a tiger as a spirit guide or power animal? Understanding the traits and characteristics of a tiger can often help you explore your own deep feelings and intuitive gifts. Understanding the wisdom and message of the tiger can give us a lot of insight into our feelings. It can soon become obvious as to why it might come up in our dreams and in our waking life. Tigers are very instinctual animals. Seeing a tiger could mean you need to further develop your own intuition or that your natural instincts have meaning. If you are facing a situation in your life where you "just have a feeling" about something, this is a hunch you most certainly may want to consider following when a tiger is also present in dreams or as a common everyday life symbol. Sometimes, this could also mean you want to become more intuitive, but you are not sure how to trust your intuition. You may not think you have any special intuitive abilities, but the truth is science has proven all of us are capable of using intuition. Our intuition is like a muscle - it simply needs to be used to become developed! 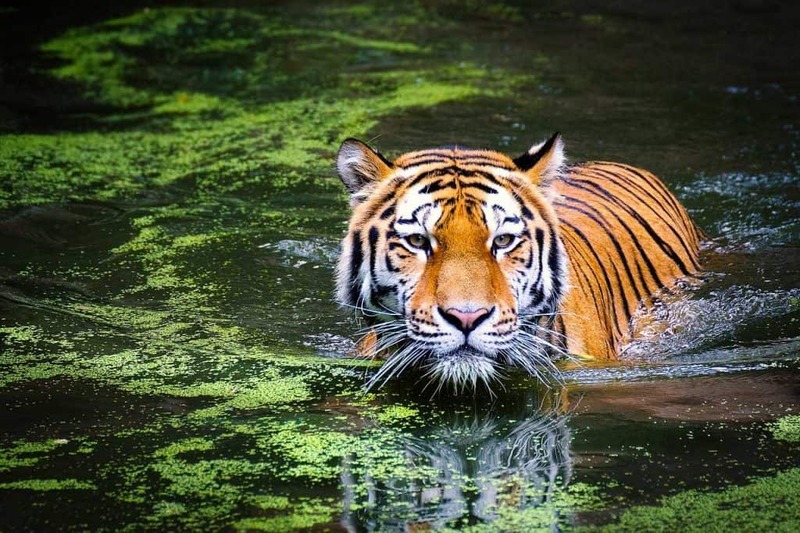 The tiger as an animal in its natural habitat is one of the most powerful animals in all of the jungle. Tigers are quite intelligent, and also strong. These two things make it very easy for a tiger to hunt successfully in its environment. Think about your feelings about power and strength in your life currently. Do you feel as if you are strong enough to deal with your current challenges? The tiger may be appearing as a sign and symbol to fully awaken and step into your own power. Ask yourself: What are my strengths in life, and how can I use these to benefit myself and others? The tiger is often associated with the shadow side of our human psyche. Each of us has things we are afraid of - whether its something emotional or physical in our lives. You may also have weaknesses in life - such as a bad habit or a skill that is not fully developed. Often times, this means we must learn to accept ourselves as we are - flaws and all. Learning to embrace the negative and dark sides of ourselves can help us become a fully conscious and developed person in this life. A tiger is often a spirit animal, and in the practice of soul retrievals is often assigned as a power animal to be a guide to support you through the challenges you currently may be experiencing in your life. Tigers often come into our lives and dreams metaphorically as a symbol of strength and power. Because of this, we most frequently associate this majestic cat with the solar plexus chakra. If you are experiencing feelings of losing control or dealing with even physical symptoms of stomach pain or ulcers, the tiger as a spirit animal can help you overcome your challenges. What are your thoughts on tigers as a sign, symbol or spirit animal? Share your experiences with dreams or other spiritual events in the comments section below!